Enjoy premium flavor with the Nielsen-Massey Pure Vanilla Extract. Cultivated on the Bourbon Island of Madagascar, the vanilla beans have been hand selected and subject to a cold extraction process. One vanilla bean is equivalent to one tablespoon of vanilla extract. This process carefully pulls out the flavor compounds. The vanilla has over 300 flavor compounds and each is preserved during the gentle extraction process. 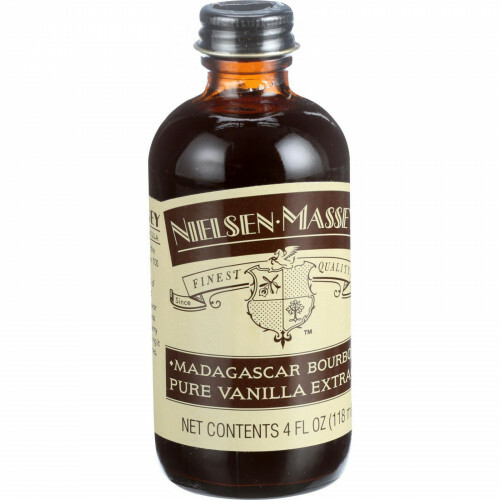 The Nielsen-Massey Pure Vanilla Extract is all-purpose vanilla that can be used in hot or cold and savory or sweet dishes. This sweet, creamy, velvety vanilla will enhance the overall flavor of any recipe. The vanilla is Kosher and gluten-free certified. It is also all-natural, allergen-free, and GMO-free. You may also be interested in some of the Health Supplements that we offer on our site.